Note: This tutorial was originally written for .net magazine. I’m now allowed to publish it here, so read on and enjoy! Part 2 will follow next week. Retro style games are becoming more popular than ever online. Commonly referred to as “8-bit” these games have pixel-art graphics and “chip tune” music that apes the consoles of old, but often have surprisingly innovative gameplay mechanics. 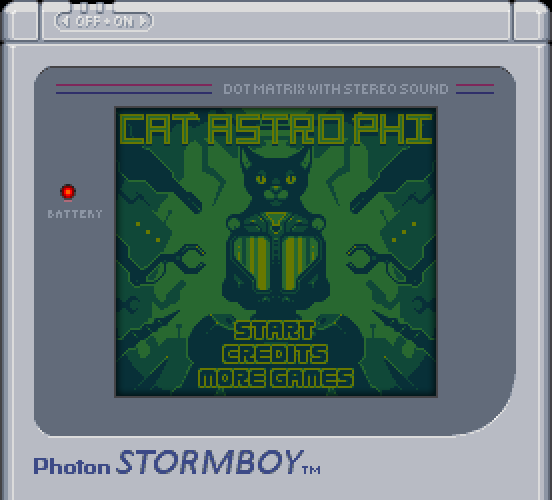 And Flash has turned out to be the perfect tool for creating them, as hit titles like Canabalt and Fathom demonstrate. Fathom was one of the first games built with Flixel and is a good example of what it can do. This may seem at odds with a technology known for its vector graphics and timeline animation. But under the hood Flash is perfectly capable of pushing around large volumes of pixels which is exactly what is required. Flixel is a game framework born from a desire to create 8-bit style games. 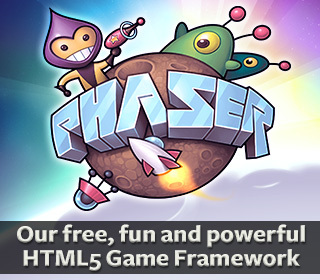 But it has evolved into a powerful way to rapidly create games in Flash. With a strong community and plug-ins available it’s the perfect choice to create our game with. In this two part series we’ll explore how Flixel works and build a retro-styled platform game in the process. Download the tutorial files and look through the source code alongside reading the article, because for the sake of space not all of it can be covered here and we’ve got a lot of ground to cover. For Windows users there is a guide on installing FlashDevelop with Flixel. On Mac OS X you can use Adobe Flash Builder. FlashGameDojo has a tutorial for this. Or run FlashDevelop under Parallels. Even if you use FlashDevelop / Flash Builder already I’d still recommend following the guides so you become familiar with the Flixel package structure. From this brief we can instantly visualise how the game will look and play. This allows us to break the code structure into logical objects such as Player, Map, Star and Enemy. 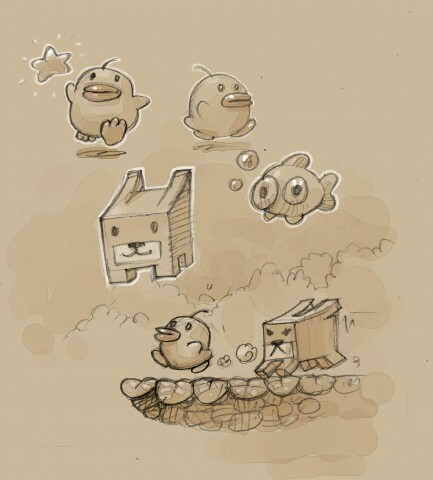 The artist can also create concept sketches to set the style of the game, and provide a point of reference for the pixel art. Concept Sketches These help set a visual style for the game, introduce main characters and act as a reference for the pixel art. FlxGame is the wrapper for your whole game, setting up Flixel in the process. The call to super sets the resolution of our game (320 x 240), the initial State (PlayState), the zoom level (2) and the frame rates (60 fps). While 320 x 240 may seem small at a zoom level of 2 it will display at 640 x 480. The up-scaling of retro games is a common trait that helps show-off the detailed pixel art. forceDebugger enables the built-in debugger which is activated by pressing the ‘ key. This lets you view bounding boxes, collision, paths, variables, logs and save out game replays. Your game can have only one FlxGame class, but it can have many States. States are a way to split your game into logical sections. For example a MainMenuState, a PlayState with the guts of the game and a GameOverState. Only one State can be active at a time. States in Flixel extend FlxState and they are the guts of your game. When the State is initialised it calls the function create. This is used to construct any assets or variables the game needs. Once your game is running Flixel calls the update function every frame. In Flash terms it’s the equivalent of an Enter Frame event. Here is where you handle anything that needs to happen continuously. We’ll use it to detect collision between game objects. 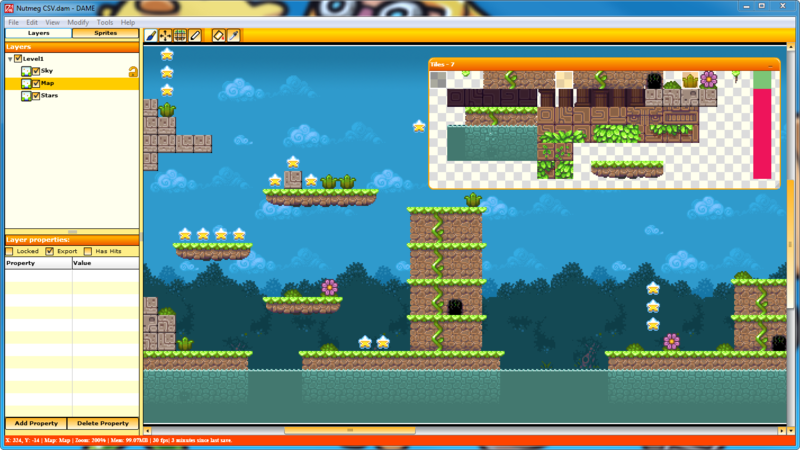 Inside the create function we make two types of object: the Player sprite and some platforms. The floor variable is one such platform. Although we’ll replace it in the final game it’s a great rapid way to provide objects the player can jump on to test the physics. 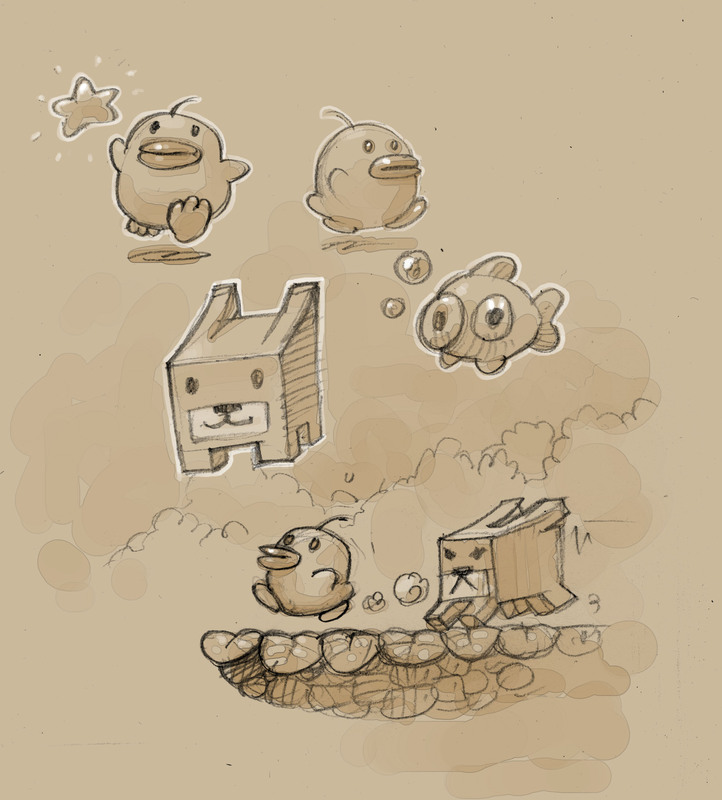 The objects are then added to the State, allowing Flixel to draw them when it renders the scene. It’s similar to addChild in native Flash and the order in which you add defines how they are drawn. All player specific code is held in the Player class, represented here through the player variable. This keeps it organised and easy to re-use. Before we start that however we need to give our player some wings – quite literally – by preparing the sprite sheet. The hero of our game is a chick called Nutmeg. We know from the brief he can run, jump and get hurt. Based on this our artist created a sprite sheet contains all the frames for animation laid out next to each other on a fixed width grid. Nutmeg The sprite sheet for the pixel hero of our game, drawn in 16 x 18 sized frames. Flixel can automatically create reversed frames so we only draw him facing right. The first frame is an idle pose. Frames 2 and 3 are the walk cycle, and frame 4 is a hurt expression. If you are more comfortable animating inside of Flash Professional then you can create a timeline sequence as usual, export it to a SWF and use a tool such as Grant Skinners Zoë (http://easeljs.com/zoe.html) to convert it to a sprite sheet. This tells Flixel to chop the sheet into 16×18 frames and create reversed versions. Animation works in a similar way to Flash MovieClips. Making the player sprite run and jump smoothly provides us with a great opportunity to explore ones of Flixels strengths: its plug-ins. Much like with WordPress and Drupal, the Flixel community release plug-ins which extend the framework further and ultimately save you time. One such plug-in is FlxControl which is part of the Flixel Power Tools. They are included in the tutorial zips but are constantly updated, so check https://github.com/photonstorm/Flixel-Power-Tools for updates. If downloading fresh there is a Getting Started guide in the Docs folder. The parameters tell it that we want the sprite to accelerate and decelerate. If we didn’t pick this the sprite would start and stop immediately making the experience very abrupt. This enables cursor control for the left and right keys, and sets SPACE BAR to be the jump button. 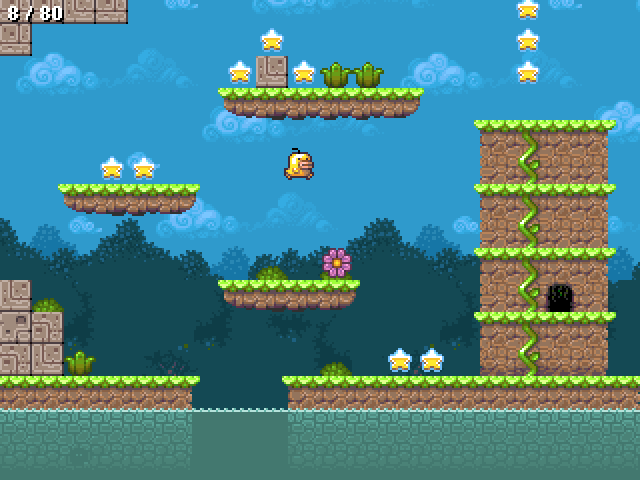 The player can only jump if on the floor and will try to jump to a height of 200 pixels. setMovementSpeed allows the sprite to accelerate at 400px/sec up to top speed of 100px/sec. Modify these values to much lower or higher numbers to see the effect! Finally we set some gravity, pulling the player back down to earth. Try changing the gravity value to make the player float or drop like a lead balloon. The best thing you can do to learn about Flixel and its plug-ins is to mess around with them. You never know what might come out of it! I’ve seen whole game ideas born from what were code bugs, so it pays to experiment. Run the code at this point and you’ll see we have a cute little chick sprite who can run and leap around at will. It collides smoothly with the ground, and there’s even a platform to leap on. If you press the debug key (‘) you can watch the physics values in real-time. Click the box icon in the top right to turn on the visual outlines. Granted it isn’t quite Mario, but we’re not finished just yet. The Tile Set used to draw the game map, complete with water, plants and platforms. Each tile is 16×16 pixels in size, and you can see that some of them join together to form game objects such as the platform in the bottom right. The organisation of the Tile Set is up to you (or your artist! ), but it’s sensible to leave big chunks of empty tiles should you need to insert new tiles later on in development. 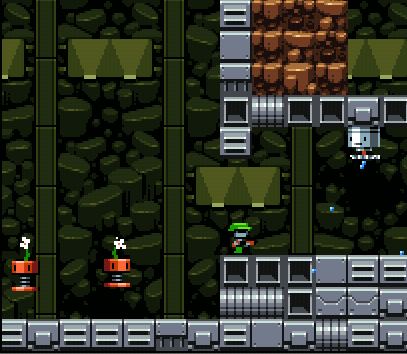 Tiles are separated into two types: Tiles you can collide with, and tiles you never collide with. 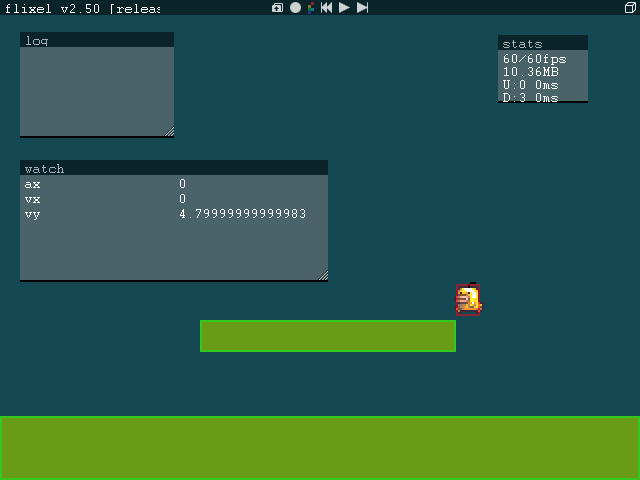 In Flixel this is determined by the tile number and is called the Collide Index. Every tile after the index is treated as a tile you collide with. In our Tile Set you’ll see on the top row items such as flowers, bushes and shrubs. These are all non-colliding tiles, as we don’t want our player getting stuck on flowers. With our Tile Set created we now need to design the level. To do this we use a Tile Map Editor. For this tutorial we’ll use an editor called DAME. Although the interface takes some getting used-to, the actual map view in DAME is rendered directly with Flixel so you know for sure that what you see in the editor is how it appears in game. Once you are happy with the design of your level you can export the map data to a CSV file from the File – Export menu. loadMap takes our CSV map data exported from DAME, and an embedded Tile Set png and creates a Tile Map object which is then added to the group. The same process is repeated for the Sky background. With the map loaded, the camera set and collision running we can now test the game. The chick now happily bounces around the level, landing on platforms and not colliding with flowers. The score is added at the top left of the screen and has a scrollFactor of zero. This means the text will be locked in place at the coordinates given, and not scroll around as the camera moves. In part 2 we will introduce baddies for you to avoid, sound effects, a user interface (HUD) and Game Over sequence. If you feel inspired to build your own games be sure to visit http://flixel.org which is home to a vibrant developer community. You’ll also find stacks of Flixel related tutorials at http://www.photonstorm.com along with the Flixel Power Tools plug-ins. Finally for reference to the classic games of old http://www.retrogamingtimes.com is well worth a visit. I guess it was around 7 years ago that I tried to make a little “game engine”, something that would allow me to make Super NES style games. It just seemed like a fun thing to do. After a few abortive attempts in C++ / Python / Java I finally settled on AS3. It was the pixel-level stuff in it that really interested me. However I’d grown very cautious about “engine building” and not actually making any games. So I stuck with AS3 and created game after game, and noticed which patterns evolved. The games kept getting more complex, and re-used code from previous projects, and eventually those parts I was seeing in every project got moved to their own folder. I think a lot (if not most) developers have a similar folder somewhere, just a pile of “really handy” code. Originally this was just for me, something I’d use to sketch new game designs in. But it wasn’t long before I thought that with a little polish here and there I might be able to release it publicly. Turns out it needed a lot of polish (and still does), but I really like where it’s going. Lately I have been thinking a lot about how to “make stuff that matters”, which is a very loose idea, but something I obsess over, for better or worse. I think Flixel is a cool thing. It’s not really “art” in and of itself, but it contributes to the cultural food chain, and that makes me feel like a hero. Eventually it would be great to add official support for a physics engine like Nape, and port it over to Molehill, the hardware-accelerated Flash Player by the end of the year. I am very hesitant to ever add game-specific features to the framework, but these all seem like good general systems and will just make making games easier and more fun. Cat Astro Phi Designed to look, sound and feel like a Gameboy Classic title it's a good example of what Flixel is capable of. Pixel art is a time-consuming but rewarding approach to creating game graphics. If you have little screen space such as on a mobile device, or are simply looking for that charm and precision it offers, then it’s worth making the extra effort. Also, it’s incredibly fun! It’s a good idea to start from the big picture. First make a mock-up of a game scene, defining the style, colours, characters, etc. Once you have such solid foundation it’s easy to turn it into actual game assets. Your art must fit and enhance the game, not just look nice on its own, so make sure everything reads well and speaks to the player in a consistent way. In a busy shooter, use colours to separate bullets from power-ups, or to make the foreground objects pop out. Immersion is a priority in any game, and understanding what’s going on plays a big part in this. Fire up your favourite games and look how the pros do it. There are a number of tools you can use and they vary widely. Some people even use Microsoft Paint! Many professionals use Photoshop and it certainly gets the job done, but I prefer a dedicated pixel-oriented program. Closest to the industry standard is Cosmigo Promotion which boasts an impressive set of features and will look familiar to Photoshop users. My personal favourite is the 100% free GraFX2. Currently it lacks animation, but otherwise provides for an unparalleled workflow and ease of use. Make sure you join an active pixel art community that will provide both feedback and motivation. PixelJoint lets you comment, rate and vote on other people’s work, submit your own, and even take part in weekly challenges, perhaps the best way to hone your skills. 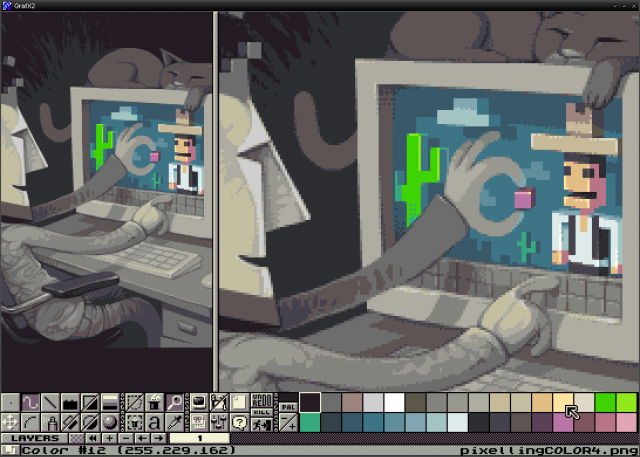 For a less casual approach consider Pixelation, a community focused on pushing the medium forward. Here you’ll find discussions on theory, game art analysis, collaborations and more. Many masters of the form frequent the forum, so it’s a great place to post your work to get some constructive critique. Posted on September 15th 2011 at 2:16 pm by Rich. Brilliant! Thank you so much for sharing this. DAME is a very cool tool for create map but what do you think about Tiled for AS3 project ? Have you already used it ? Yeah I’ve used Tiled, and it’s pretty good. I guess for a map as simple as this it’d work fine – it just doesn’t have the flixel specific features that Dame has. nice tutorial.. i have a question.. is it possible to get files to this tutorial? u kidding me i am blind like my old dog. Heh no worries, glad you found it! Wow! Thanks a lot, this looks super awesome. I’m currently learning to program flixel (and Flash) and this looks like a fantastic help. What is the licence for source and art. Am I allowed to use the tiles in my own projects? Have you heard of GraphicsGale? It’s a nice sprite editor with animation support. HI!, first of all thank you. Like Adam says your are really doing stuff that matters!. I am 22, computer science student . I am atempting my first game in AS3 since I found your tutorials 3 days ago. Really loving your pixel-art stuff. I hope you continue supporting and updating the code like you are doing. I’ve been using FlashPunk myself, but I’m sure there’s plenty to learn within this tutorial that applies to building a platformer in general. I’m definitely going to check out very soon, as platformers are my favorite genre of all time. juako – it’s in the source code with a comment above it! Line 34. Yes I know its there because that’s where I got it, but I had to search in the source code. You made a great tutorial, but with the rest of the tutorial I was able to fill in the blanks without looking at the source code, but I dont think if you never worked with flixel you couldn’t figure out that you had to set such variable. Another solution I found was to call follow() from the level but I dont know the difference. Forget that previous post. The problem was I commented out the whole line 34 in FlxGame.as rather than just removing the “embeddAsCFF” section which causes some problems. Awesome toturial. Thank you so much. This sure got me into the good direction! When I try to download Damebot I got a warning that it contains a backdoor from AVG antivirus. But I downloaded it to follow this tutorial. Nice article. Cam – you literally create a new AS file called Level1.as that extends FlxGroup. I’d suggest you download the zip file and open up this file so you can see what’s in it, as I don’t include all of the code required in the article above. Richard, I really thank you for giving to Flixel enthusiasts a lot of great tutorials. But I’m afraid to say that this tutorial is a little messed up. When come to “Lights, Camera, Action” part, you forgot to tell us to load the Nutmeg Part 2 project. I had to read all comments and understand what we have to do there, after breaking my brain tring to understand things like this: “map.loadMap(new mapCSV, mapTilesPNG, 16, 16, 0, 0, 1, 31);”. I love these tutorials, they have been soooooo helpful, but when I try to run it I get this error: [Fault] exception, information=TypeError: Error #1009: Cannot access a property or method of a null object reference. I didn’t add all the stuff in this tutorial just the stuff I wanted to learn but I think that it should work. I have problems as I am a newbie… I wanted to make a game so I checked out your guide. I just started with Tip12#. without checking the rest previous ones. Then I got a problem. You explained everything from Getting Started but I didn’t understand how to use Flixel to create a sprite, then, how did I get the block to jump on? and what’s “Part1”? Thanks for the help! Sounds to me like you ought to go through my set-up guide getting flixel compiling and working on your machine. Then download the ZIP file that comes with Part 1 of the platform guide and go through the source code in there AS you read the tutorial (because not all of the code is in the tutorial). 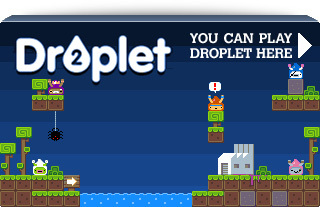 And don’t use just my site, use the tutorials on flixel.org too, and post in the flixel forums! Hmmmmm it seems that I the collision isn’t working, I just fall right through the map. This is a great tutorial. I’d love to see more Flixel tutorial that are as up-to-date as this. I do have a question regarding setBounds(). When the payer decelerates from it’s movement. The player seems to go past the bounds a little bit and returns once you update again. Is there a way of preventing this? Yes there is a value called something like max overlap bias in one of the core flixel files which you can over ride to prevent this. The first game was a great experience, thank you so much for sharing the link! the last if-block in the playerclass update where you´re checking if the velocity is less than 0. Change that to not equal 0. And then add an else block to play the idle animation in it. Otherwise there´s a small bug where if you jump into the wall and keep holding the direction button into the wall the jump animation will play even if you´ve landed. Please help me. How can I set the player jump through the floor? Awesome tutorial, cheers for posting it. I keep getting the error call to a possible undefined method loadGraphics in flash develop, even with the samples. No the art cannot be used in commercial games.